Free stuff is a must when you’re a teacher, and we’ve got some free resources to help you teach nutrition education to your students. The Dairy Council of California has a program called Shaping Up My Choices, designed especially for California teachers. 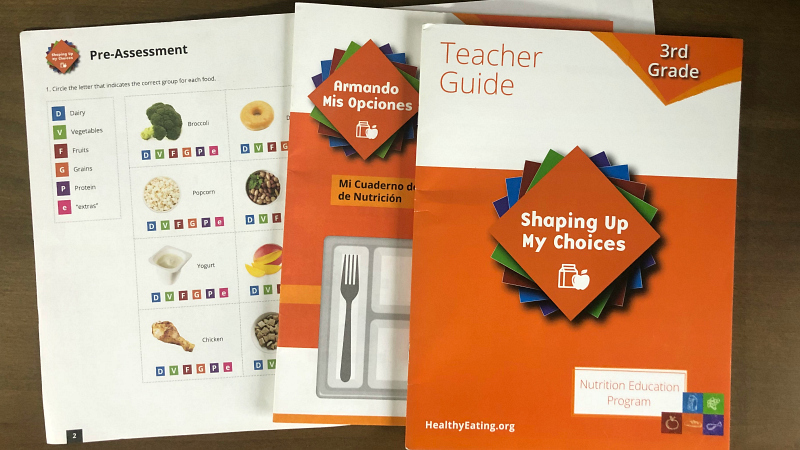 You can get full-color student workbooks, a teaching guide, and other great resources to teach about healthy choices and nutrition in your classroom. And yes, it’s totally free. Your students will learn about the five food groups, how nutrients affect the body, and how to select healthy breakfast and snacks to develop a lifetime of healthy eating habits. Plus, the lessons all align with the California Common Core Content Standards and teach modern skills. Not a California teacher? Don’t worry. They have plenty of printables and materials for teachers of all grade levels across the country. Their videos, worksheets (available in both Spanish and English), and other free printables will help you meet health, science, and physical education standards. Learn all about the program and request your kit here.